Like everything in life there is a limit to survival and this is no different for implants. Many people believe if their teeth are failing then an easy option would be to take them out and start again with implants. Loosing teeth can be due to many reasons, those people who loose teeth to gum disease will also be at risk of loosing implants to a similar process. Implants require careful planning and considerations. The implants can fail due to either biological or technical problems. Technical or mechanical: materials can fracture and wear -again, just as teeth can. Implants require continuous monitoring. Implants should be designed to be retrievable -ie to allow parts to be removed for maintenance/cleaning as necessary. There are several risk factors which place patients at higher chance of implants failing. 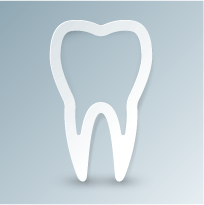 These include previous periodontal disease, smoking and systemic disease such as Diabetes. We must give you an implant supported fixture that you can easily clean, to prevent disturbance of the tissues supporting the implants. These include inflammation of the mucosa (peri-implant mucositis), soft tissue lesions such as inflamed gingiva and fenestrations, soft tissue breakdown, fistulas and inflammatory bone loss (peri-implantitis). These complications may adversely affect the success of your implant-supported prostheses which will need to be removed. There are also technical problems that occur with implant-supported prostheses and these include fracture to the various components of the implant system. The screws holding the prosthetic part of your implant in place can become loose and could fracture. If we need to repair your fixed implant supported prostheses you will have to wear a temporary solution whilst composites are adjusted or remade in the laboratory. *Complications can be divided in to biological and technical. CALL 02 4362 2095 NOW!